Young was the first astronaut to command the Space Shuttle. camera (Bettmann/CORBIS/Getty Images, FILE) Astronaut John W. Young, Apollo 16 Mission Commander, poses for a portrait at the Madded Spacecraft Center in Houston in 1971. 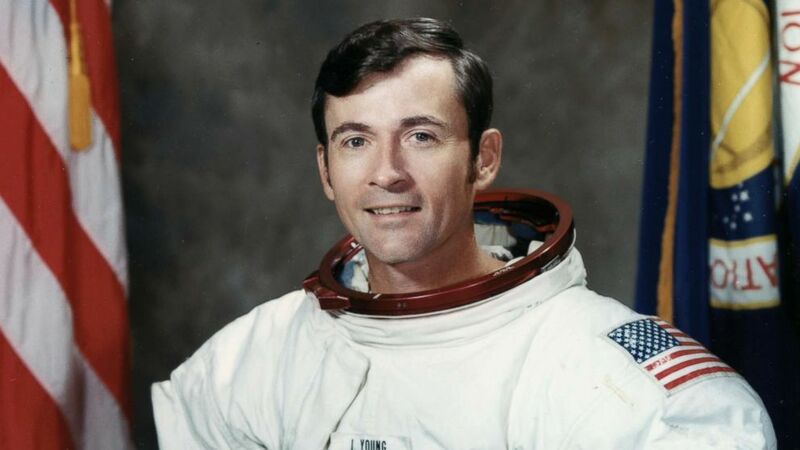 Legendary astronaut John Young died today. He was 87. Young was the first astronaut to command the Space Shuttle. He flew to the moon twice. (Bettmann Archive/Getty Images, FILE) John W. Young, Commander of Apollo 16 moon mission, salutes the United States flag as he leaps from the lunar surface near the lunar lander in this undated file photo. News of his death prompted tributes, including from fellow astronauts who called him a "hero" and "astronauts' astronaut" and from former President George H. W. Bush. 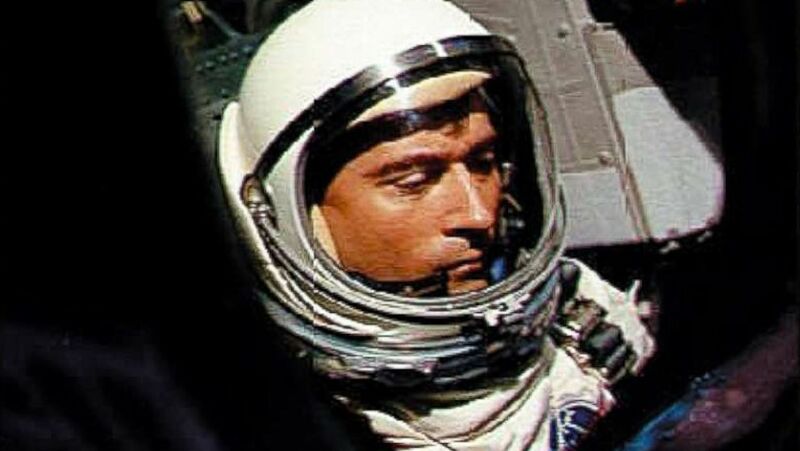 A former Navy test pilot, Young became an astronaut in 1962. He walked on the moon in 1972, and piloted the first Space Shuttle flight in 1981. 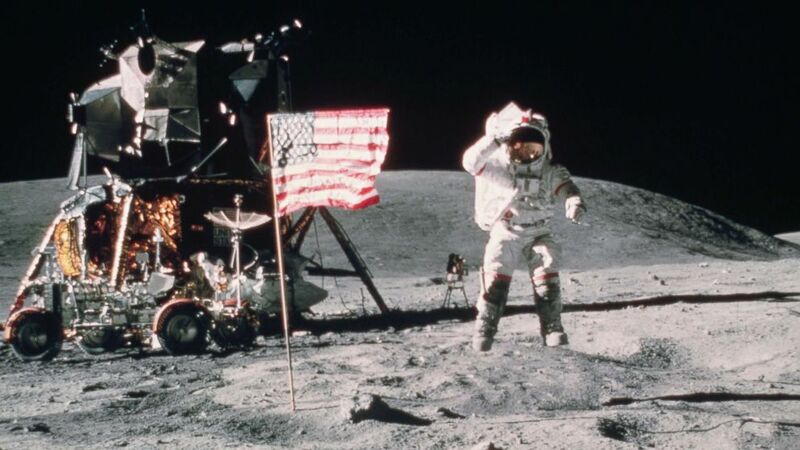 (NASA/AFP/Getty Images, FILE) This file photo taken on May 12, 2009 shows U.S. astronaut John Watts Young who walked on the Moon on April 21, 1972 during the Apollo 16 mission. 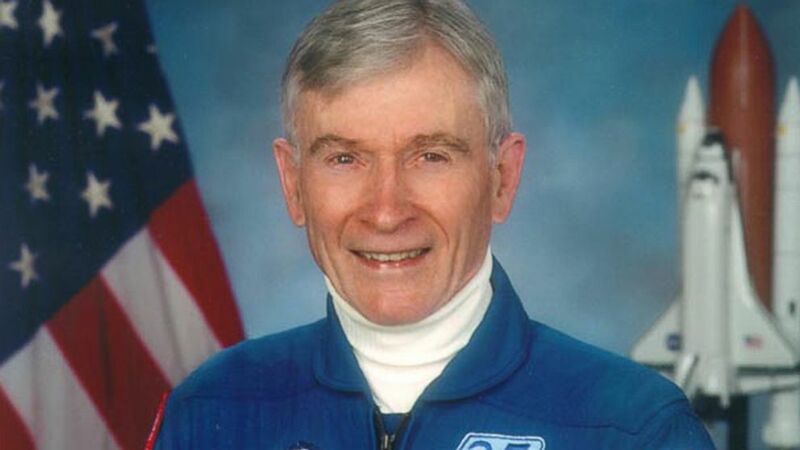 Astronaut John Young passed away Jan. 6, 2018 at the age of 87. Young was also the first person to go into space six times, seven if you count his lunar liftoff. ABC News last interviewed Young in 2003, after the Space Shuttle Columbia accident that killed seven people. (NASA/AFP/Getty Images, FILE) U.S. astronaut John Young is pictured aboard Gemini III waiting for the launching of the first orbital maneuver by manned spacecraft on March 23, 1965. Not many people argued with John Young. Fellow astronaut Terry Virts tweeted that Young's "passion for space will be missed." Former President George H.W. Bush said he hopes the memory of Young inspires future generations. "John was more than a good friend," Bush said in a statement. "He was a fearless patriot whose courage and commitment to duty helped our Nation push back the horizon of discovery at a critical time." "To us, he represented the best in the American spirit — always looking forward, always reaching higher. John leaves a tremendous legacy of accomplishment, in addition to his wonderful family," Bush said. "May his memory serve to inspire future generations of explorers to dare greatly, act boldly, and serve selflessly."